When it comes to making a website, the design process is very important. This is when all the graphics and styles, which complete the overall look and feel of the site, are created. However, there are several rules you might not be following when it comes to designing your website in Photoshop. The Photoshop Etiquette Manifesto for Web Designers is a great site that suggests the dos and don'ts. Instead of creating different Photoshop documents for each page on your website, try to keep them all within one main document. The exception to this rule is if the file size gets really big. In that case, it's better to keep separate files, so it's easier to open and edit the files. 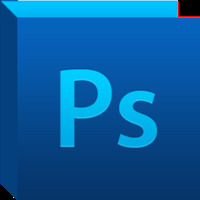 Every element in Photoshop is made up of layers. Make sure you keep your layers organized by which section of the webpage they fall under: header, footer, main content, etc. If you're giving the PSD file to a developer for coding, it can also be helpful to collapse all the folders first, so they have an easy view of the sections when they first open the document. You might think altering the font this way looks cool, but it's very hard to code. You're better off finding a different font that fits your needs better. Many times, a designer will use a comp stock image with the watermark for the mockups in Photoshop. Once the designs are approved, you can sometimes forget to go back and purchase those images and replace them in the PSD with the non-watermarked, paid versions. It's also a good idea to keep all the original images in a separate folder in case you need to go back and make changes later. Finally, the snap option in Photoshop is very helpful when it comes to aligning layers in Photoshop. This is very important when it comes to web design, because this allows for a clean, well laid-out design. These are just a few suggestions. Check out the rest, along with some great visual examples, to ensure that you are making the best Photoshop designs. What other rules do you live by when you're designing?